Video games are all about controlling characters right? Well, what if you work your guy too hard? What if he gets fed up with taking your every order. If you work your characters like a dog to have them "jump" when there's no reason to jump, expect some push-back. 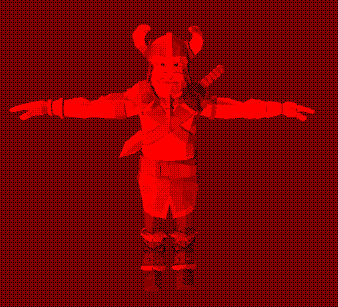 The viking doesn't care if it is just for a tutorial demo, you are forcing him so things will get virtual boy. A simple collect the shields mission gone horrible wrong. Sometimes the viking will follow orders, but before you know it, he'll attack you. Aboard a viking vessel you wind up fighting... "yourself" as you control Left, Right, Down, Up , only one option will help get your avatar off balance when rocking the boat! And watch out for them cannonball holes!! !